Photo: Brown and Swindell Houses, Webster Avenue, looking southwest, Southside Historic District, Plymouth, IN. 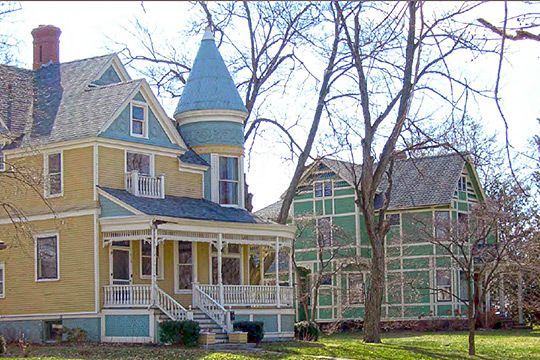 The Historic District was listed on the National Register of Historic Places in 2013. Photograph by Kurt West Garner, 2007, for nomination document, Plymouth Southside Historic District, NR# 13001016, National Park Service, National Register of Historic Places. The Marshall County Courthouse is located at 211 West Madison Street, Plymouth, MN 46563; phone: 574-936-8922. Marshall County was established in 1836 and named for U.S. Supreme Court Chief Justice and U.S. Secretary of State, John Marshall [1755-1835].